The militia lists from 1782-86 record the name of George Doney, a servant at Cassiobury, who was captured in Gambia as a child. 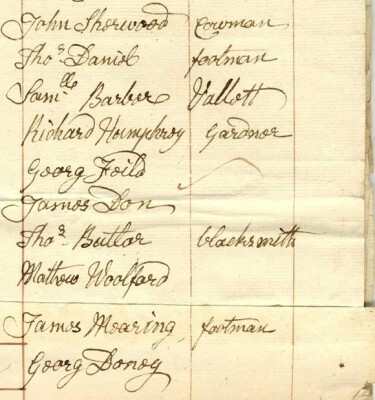 Militia list from 1782. George Doney's name is at the bottom. The militia lists from 1782-86 record the name of George Doney, a servant at Cassiobury, who was captured in Gambia as a child. His gravestone can still be seen in St Mary’s church. Geroge’s name is at the very bottom of the picture below. Militia list from 1782. George Doney’s name is at the bottom. 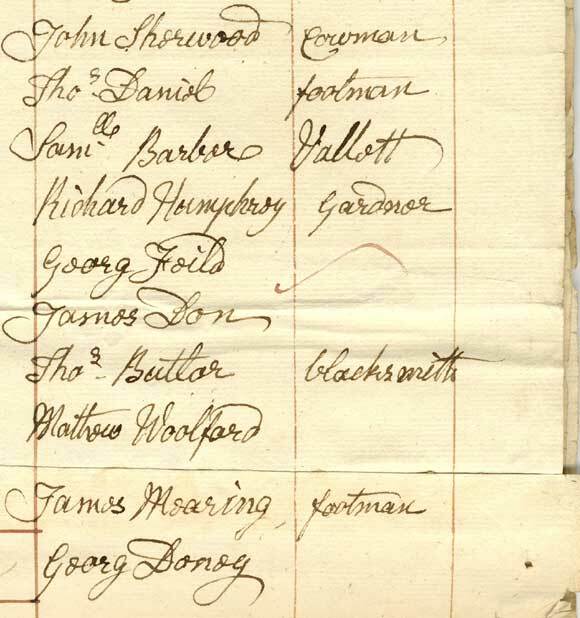 Several of the men listed in the documents in this section have or had the name Doney/Donas – George Edward Doney (the same person as Doney the Black? ), Othello formerly Donas and Charles formerly Donas. Does anyone know anything about this name? Is it coincidence or did it have a meaning? I changed my own surname when I was 21 as a mark of my independence. How must it be to have your name removed by people with power over you? I understand this happened to white servants as well, for example housemaids who were all called Jane so that the mistress didn’t have to remember a new name if the personnell changed?